JI is one of the three "flexible mechanisms" adopted under the Kyoto Protocol on climate change. The scheme allows rich countries to reduce greenhouse gas emissions, compared to 1990 levels, by sponsoring projects in the former Soviet Bloc countries, including the EU's Eastern member states. Kyoto’s other flexible mechanisms are emissions trading and the Clean Development Mechanism (CDM). But unlike with the CDM, JI projects take place in countries which have legally-binding emissions reduction requirements. Under the scheme, wealthier countries listed in the Kyoto Protocol's ‘Annex 1’ can choose to offset their emissions reductions commitments by making cheaper investments abroad instead. To be approved, a JI project must prove that that it provides a reduction of greenhouse gas emissions, additional to what would have happened otherwise. JI is therefore all about ‘additionality’, which in the Kyoto Protocol's lingo means an aggregate lowering of CO2 emissions. With JI carbon reduction projects, this additionality could involve any form of emission mitigation or avoidance such as replacing a dirty coal power plant with a renewable energy one. It can also mean improving the energy efficiency of an existing industrial installation or of an existing coal, oil or gas plant. In theory, everyone benefits. Investor countries accrue Emissions Reduction Units (ERUs), while the emission allowances – or Assigned Amount Units (AAUs’) – of countries hosting carbon reduction projects are reduced by the same amount. But the system has so far yielded little results. First, the United States never signed off on the Kyoto Protocol, leaving the JI system without its largest expected contributor. Following the massive deindustrialisation that followed the fall of communism, former Soviet states were left sitting on billions of unused carbon credits that were initially meant to be sold across the Atlantic. If carried over after the Kyoto Protocol expires, this would likely sink the international carbon market. Second, the few projects that have taken place have been slow at receiving approval and proved difficult to manage or verify, leading at worst to fraud cases or to dubious environmental benefits. According to the European Bank for Cooperation and Development (EBRD), only 3% of international carbon credits were issued under the JI scheme, not enough to make a significant difference in terms of emissions reduction. What should happen to JI after Kyoto? The future of JI after the Kyoto Protocol expires in 2012 is currently unresolved. An estimated 300 million carbon credits (Emission Reduction Units, or ERUs) will be in circulation by the time the treaty expires. However, the JI scheme is expected to be operational for a few more years, as ERUs are valid for a crediting period running from 2008-2015. What happens next is anybody's guess. "The market is currently in a general state of uncertainty," Natalia Yakymenko, an analyst for Point Carbon told EURACTIV. "Investors are reluctant to come to the market now for emissions reductions after 2012. They're not sure if they'll receive anything back for their investments and if so, what." Russia's opposition to a second round of emissions reduction commitments after 2012 has added to the uncertainty abut the scheme's future. Alexey Korkorin, head of the World Wildlife Fund (WWF) in Russia, suggested that it be transformed into a voluntary emissions market. "Prices would of course be significantly lower," he told EURACTIV "but if it's profitable, why not? There could be a direct agreement with the EU and others to continue JI, but with a very limited amount of projects." He hoped that the EU could support such an approach. In theory, ERUs could be accepted into the EU's Emissions Trading Scheme (ETS) as the emissions reduction obligations guarantee demand for such credits up until 2020. But whether the demand would be sufficiently great to make the investments attractive is an unknown. Should JI be brought into the EU ETS? JI is a form of domestic carbon offset and the EU still has unfinished business concerning the appropriateness and potential design of its domestic offset scheme. One possible solution on the demand side would be for ETS projects to accept ERUs for domestic EU projects, according to Benoit Leguet, an executive committee member of the Joint Implementation Supervisory Committee (JISC) and head of research at CDC Climat, a carbon finance group funded by the French government. "JI can be carried out in Russia, Ukraine outside Europe or inside Europe," Leguet told EURACTIV, "and this is what some European countries have been doing so far - France, Germany, Poland, Bulgaria, Romania etc. As we are talking about European emissions reductions, somehow this should be counted towards the goal of reducing Europe's emissions by 20% by 2020." Some argue that JI schemes would work best within a 'baseline credit system' that allows polluters not covered by an aggregate emissions cap (like the ETS) to create carbon offset credits by reducing their emissions below a baseline level. These credits could then be traded with polluters that do not have a regulatory limit. Leguet felt "strongly" that such schemes could complement the ETS - and to some extent already were. What should happen to surplus credits of 'hot air'? It is estimated that Russia alone has between 3.5 billion and 5 billion Assigned Amount Units (AAUs) stored, as a result of over-allocation of carbon credits. These had been allotted according to industrial output figures of the constituent republics of the then-Soviet Union, prior to the collapse of their economies after 1990. If all of Russia's stored AAUs were released onto the market, their price would collapse to near zero. But, as this is not in Russia's interest, analysts believe it is unlikely. "The demand is quite low so who would buy them?" Yakymenko asked. But countries such as Japan continue to buy some of these 'hot air' credits to offset their carbon emissions when these exceed the Kyoto targets. Alexey Korkorin recommended that governments use the AAUs "as a sort of a national heritage in their presidential speeches, that Russia reduced emissions from 1990-2030 by X billion dollars etc. It is a tool for future PR but for now, we should just ignore it." One day they could even be used for domestic emissions trading between Russia's regions in his view. A post-2012 'carryover' of the credits into whatever post-Kyoto regime emerges has also been suggested by many analysts. However proposals to this end by the UN's Joint Implementation Supervisory Committee (JISC) have not yet been agreed. Do Track 1 projects lack transparency? JI projects proceed along one of two pathways: 'Track 1' or 'Track 2'. Track 2 procedures are uncontroversial. They are implemented when a host party only meets some eligibility requirements to transfer or acquire ERUs. A verifications procedure then takes place under the aegis of the UN's Joint Implementation Supervisory Committee (JISC), a respected independent body. By contrast, Track 1 procedures apply when a host country is said to have met all eligibility requirements. The verification process then only occurs between the host and investor country to ensure that any emissions reductions are 'additional' to what would have happened anyway. But the process is not always made public, and so it has given rise to suspicions, complaints and protests. The lack of certainty that the JI will continue after the Kyoto agreement has run its course is one factor affecting business confidence in the mechanism but there are others. According to Jan-Willem van de Ven, Senior Carbon Manager at the European Bank for Reconstruction and Development, many European investors rightly don't believe that it is working well. "Unfortunately the [European] banking region for various reasons is falling behind more ambitious regions like China and India and Latin America," he said. The reason was only partly due to liquidity problems resulting from the recession. JI also started later than the CDM and in many countries, license applications have been processed slowly, causing hold-ups in the approval of projects. In the Ukraine, approvals of JI have been followed by demand from the industrial and power sectors for letters of approvals to provide JI projects, which were often delayed. However, in Russia, the state-owned Sbersbank recently announced that it would proceed with a third tender of 70 million carbon credits if there was sufficient market demand. JI has suffered several crime-related setbacks. The most infamous case occurred when Slovakia's sold millions of AAUs to Interblue, a US registered company run out of a garage at less than half the going rate. The country may have lost up to €40 million as a result. An environment minister was sacked, as the scandal struck the country in 2009. The disappearance of 15 million tonnes of emission rights that Ukraine had agreed to sell Japan in the same year contributed to an impression of a scheme lacking elemental security protocols. "If I'm honest, we have a hard time tracking the sales of AAUs," Elsworth said. "It's not a massively well-known or transparent process. There's no centralised registry for it or clear indication sometimes that sales are taking place. It's only when reporters or the speciality press get wind that we become aware of it." But tighter control of information flows can also be a useful precaution against criminal exploitation and are often country-specific. Questions about conflicts of interest were recently raised after Russia's Sberbank handed out $175 million of carbon credits from a JI offset scheme to a company linked to a firm that owed it over $800 million. One JI insider told EURACTIV that this move "raised eyebrows." Korkorin said that WWF was "disappointed" by the move. "It is understandable that they would like to have profits and be a decision maker but it is not good for JI as a whole," he said. "Voluntary emission reduction projects in Russia after the Kyoto Protocol should be absolutely independent from Sbersbank." The overwhelming majority of JI projects in Russia led to real emissions reductions in his – and most observers – views, but Sberbank was "over-checking and over-controlling everything," he complained. "Its role is negative on the whole," he said. "Sbersbank follows the interests of the bank itself rather than the maximum effort to accelerate JI, unfortunately." Its objective was probably to obtain a supra-regulatory position, he suggested. Has JI been flexible enough? The carbon emissions allowed to the former Soviet countries were drawn up in 1990, shortly before state subsidies to failing industries were withdrawn, and whole industrial sectors disappeared from the map. This led to problematic baselines being drawn. For example, Russia's emissions in 2007 were 37% lower than in 1990 and may have fallen further to as much as 50% lower in 2009 due to the global economic downturn. But, critics say, an inflexibility in JI meant that the original estimates could not be revisited and as a result, Russia's hot air surplus has become a bargaining chip blocking a deal on a Kyoto successor pact. How environmentally useful have JI projects been? The environmental efficacy of JI has sometimes been questioned because its credits have so often been used, for instance, for shale gas and industrial projects rather than to support renewable energies. The"additionality" of the carbon emissions reductions involved is thus moot. Critics also charge that some JI-funded emissions reductions would have happened anyway without the ERU mechanisms. Many involved the modernisation of outdated industrial plants: Russia and the Eastern European countries can be seen to have benefited from a subsidy that has given them a competitive advantage. "These investments were necessary for these companies," Yakymenko said. "These post-Soviet countries have a lot of enterprises that are quite old and heavy and the JI projects need proof ofadditionality and energy efficiency improvements. One of the major locking stones is that they would not have happened without foreign investment." Has JI been a success? JI's perceived success (or otherwise) will to some extent determine its post-Kyoto fate and how far its example is emulated in other carbon schemes. A consensus stretching from NGOs to market experts holds that it has had many noteworthy achievements, despite its limitations. Emissions reductions have been achieved, infrastructure has developed, investments have flowed and projects have been established. But environmentalists question whether such factors should be the sole criteria used for defining success. In Ukraine, carbon credits issued by JI account for only about 10% of the entire CDM volume, and JI projects constitute a small percentage of the global carbon market. Direct emissions reductions from JI have also been small. Advocates of JI sometimes complain that the scheme was severely handicapped by a lack of informed involvement from host countries. But equally, they point to the auditors, procedures, infrastructure and accumulated experience from the scheme as being valuable in themselves. The EBRD's Jan-Willem van de Ven paused before venturing an opinion on whether the scheme had been successful. "By putting a value to carbon, I think that we at least helped put climate on the agenda and if there hadn't been JI, my guess is that we'd be even further from involving these countries in the international climate market," he said. "Has it been a success in terms of volumes? I don't think so. The region is good for about 13% of the global emissions, the amount of carbon credits coming from the region is so far about 3%, so they're not pulling their weight." Henry Derwent, the CEO of the International Emissions Trading Association (IETA) was pessimistic about the future of the JI. "It's a very sad prospect, but in the absence of an extension of the Kyoto Protocol or positive decisions to the contrary, new JIs are likely to come to a halt," he told EURACTIV. "We very much hope that the parties will be able to find some way of continuing to use the mechanism." He agreed with Natalia Yakymenko, an analyst for Point Carbon in Ukraine, that doubts about JI were having a "destabilising effect" on the markets and on low carbon investment more generally. The JI's impact on the market had started slow but gradually become "more interesting and effective," he said. 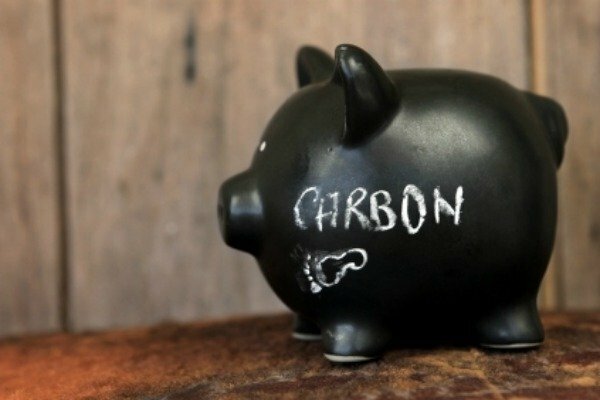 Jan-Willem van de Ven, head of the Carbon Credit Fund at the European Bank for Reconstruction and Development,told EURACTIV that "Instruments like JI can assist in shaping the landscape needed for eventual European domestic emissions trading schemes". "I think that is the point of JI: a baseline and credit system like JI does not penalise the big emitters but it does support a transition to a low carbon economy by rewarding those parties willing to invest in lowering their emissions," he said, noting that under JI, environmental integrity is preserved as the projects are in countries with emissions caps. Not everyone agrees though. Henry Derwent said that "right now the last thing the ETS needs is an unlimited new source of supply, without commensurate changes on the demand side at least." The question in his view was whether the EU should consider linking with JI and JI-like schemes around the world as a policy tool. On the question of Russia's surplus 'hot air' credits, Benoit Leguet, an executive committee member of the Joint Implementation Supervisory Committee, explained how the JISC recently proposed "something that looked smelled and tasted like carryover but wasn't carryover," at a meeting of the parties to the Kyoto Protocol (CMP). This involved guaranteeing the use of AAUs in the 2013-2015 period – "smart carryovers" in Leguet's words – but it did not involve any banking of existing AAUs. To lure Russia into a Kyoto II agreement, "I can bet [Russia] will keep a substantial part of the so-called hot air and bank it," he said. Others agreed. "The Russians have proven themselves adept and strong-willed negotiators at earlier stages of the UNFCCC's development," Henry Derwent said. "So we'd like to see the situation clarified rather than just left there as an ominous storm cloud, with no-one really knowing if its going to rain or not." One storm which has broken around the JI has involved the transparency of its Track 1 process. Environmentalists like Rob Elsworth, the policy officer for the NGO Sandbag, use adjectives like "dubious" to describe it. He complained to EURACTIV of "uncertainty about what these projects are, and questions as to what emissions reductions are taking place, and whether they are legitimate." Natalia Yakymenko, an analyst at Point Carbon was most concerned at a lack of 'user-friendliness' in the data provided by some smaller countries. "Romania, for example, does not publish any information anywhere so there is a question of transparency," she said. "It's hard to evaluate if these projects have really generated anything." These concerns about Track 1 projects were echoed by Benoit Leguet at CDC Climat, a carbon finance group supported by the French government. "This JI is not supervised by the JISC or the UN, so it is up to the host and investor countries to determine how to proceed with the verification of the emissions reductions," he said. While some agreed projects were sustainable, "the real problem is that the whole [track 1] process is not transparent," he continued. "It's way too lax. The JISC proposed to merge and have one single track for JI instead of two at the Cancun CMP." But no agreement was reached. Leguet proposed that the UNFCCC reform its monitoring and verification procedures – "maybe not on a project by project basis but to check that national regulations comply with a set of minimum requirements," he said. "This would mean moving away from a 'check nothing' approach which is Track 1, and also moving away from a project-by-project 'check everything' approach to a minimum quality - rather than eligibility - criteria check for projects. That would keep the flexibility of JI without making it as cumbersome as the CDM is perceived to be, and maybe persuade host countries to entertain more JI projects." Some of JI's difficulties have been more prosaic. "JI had a later start than the CDM," Jan-Willem Van de Ven said, "so it missed out on a few years development but if you look at sheer technical potential, due to the transition to market economies, there's quite a bit of energy waste and high carbon intensity - so a good potential to achieve low cost emissions reductions. The fact that the JI hasn't been working is in part due to the slowness with national regulations on JI came into effect." In an optimistic future scenario, Benoit Leguet argued, "market based mechanisms would look much more like JI than the CDM" because a buoyant global economy should deliver a growing share of richer 'Annex 1' countries, and a shrinking proportion of LDCs (Least Developed Countries) supported by offsets under the CDM. In the long term, "JI is the leading project-based mechanism" as he saw it, not least because any European domestic offseting scheme, would be a JI or JI-like scheme. "I would say to investors: ‘Keep investing in projects' and remember that some countries could go to bilateral negotiations with the EU and that could be JI-like mechanisms," Leguet expounded. Rob Elsworth saw JI as offering "an interesting example of how the EU could set up similar projects to potentially utilise the same sort of things that JI is providing for the other ex-Soviet countries. Why not help the EU first, rather than paying for the modernising of ex-Soviet countries? You can see that the majority of JI credits could have been surrendered from EU companies to meet their targets under the ETS. They come from Ukrainian district heating projects. So why aren't these credits being generated in Poland which has a similar kind of building infrastructure?" Some environmentalists have questioned how 'additional' some emissions reductions provided by JI actually are. "Of course I'm not happy that so many industrial projects are in their list of adopted projects instead of renewable energy in particular," Alexey Korkorin of World Wildlife Fund in Russia told EURACTIV. "I think that shale gas projects are also a bit slippery but at least it's not business as usual, even if it becomes so in the future." His concerns were dismissed by Friso De Jong, the EBRD's carbon banks manager. "It is always difficult to show that an energy efficiency project is in fact additional," he said in a phone conversation with EURACTIV. "In the countries we work in, we've experienced a lot of barriers that need to be broken down to make those investments happen so it's not just a subsidy to industry." Industrial gas projects the EBRD had worked with under the CDM had had very clear additional benefits - and were highly profitable - he thought. But Jan-Willem van den Ven stressed that the Bank did not invest in any HFC destruction schemes. "We can only engage in projects that are not being immediately picked up by the commercial sector. We are deemed to be additional to the private sector if we get involved, so we typically handle the more difficult and complex projects," he explained. Stakeholders canvassed for opinions on JI's adaptiveness were generally sympathetic. "It is difficult to build in flexibility to these things," Elsworth said "because markets also need predictability and there's a fine balance between flexibility and predictability. But maybe the rules developed then aren't perhaps as efficient now or are working against it." Benoit Leguet felt that, on the contrary, JI's monitoring and verification design had been too flexible. "When I hear project developers complaining about how cumbersome and inflexible the CDM process is, I feel like telling them to move to JI," he said. "We need to reach out to policy makers and make sure they understand its value." Any lack of flexibility would of course be a result of the original negotiations at Kyoto, but Henry Derwent cautioned that all deal-making at international conferences is a fraught affair. He accepted that it would have been more sensible if the relevant elements of the deal had been put back on the table when the scale of the industrial restructuring in the Soviet Bloc countries emerged. Even so, "you can be sure that the parties to the deal were pretty clear what the advantages and disadvantages were to themselves," he said. "One has to have some sympathy with them when they hear others saying that they should have been more flexible." 11 Dec. 1997: JI announced in article 6 of the Kyoto Protocol. 1 Jan. 2000: JI projects beginning from this date could be eligible for Emission Reduction Units (ERUs). 16 Feb. 2005: Kyoto Protocol enters into force. Jan. 2008: Formal start of crediting period under the JI scheme. 28 Nov.-9 Dec. 2011: COP-17 Durban Climate Change Summit to debate agreement to replace the Kyoto Protocol. 31 Dec. 2012: End of the Kyoto Protocol's First Commitment Period. 2015: End of the 'true-up' period in which JI projects based on Assigned Amount Units from the Kyoto Protocol’s First Commitment Period can still be used. UK Environment AgencyWhat is Joint Implementation?